It seems I’ve been a talker from waaaaay back. In primary school, I carefully brushed down my pilled woollen jumper before readying myself – clutching slightly damp cue cards – for Public Speaking competitions. Being a naturally conscientious swot, I then developed into the Debating Captain of my high school, before trying my hand at University Debate, too. 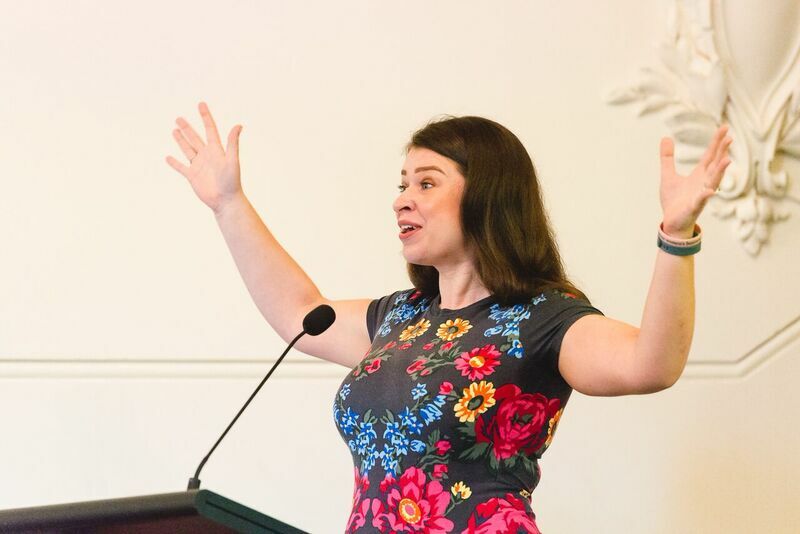 It was a great testing ground for the auctioneer I would become in my first professional career, before growing into the digital strategist and educator I am today. It’s fair to say: words and me. We’ve got a thing going on. 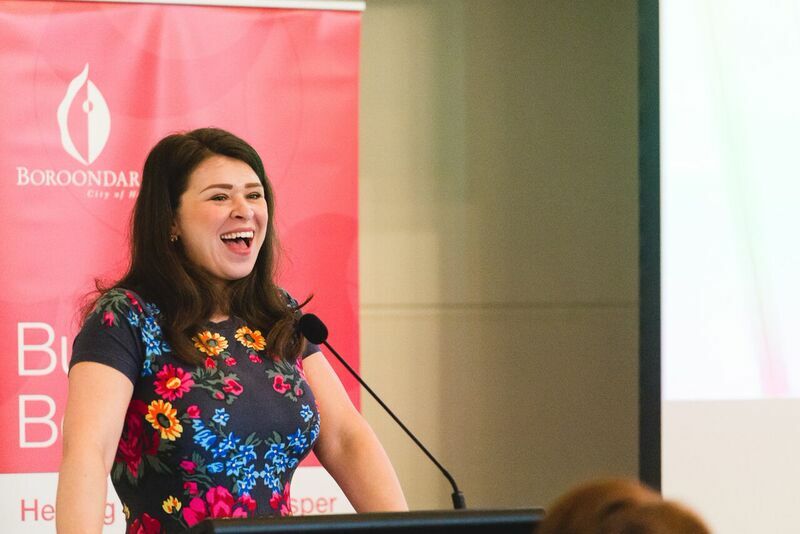 More recently, I’ve been engaged to teach a number of courses on social media and digital identity development (namely Leader of the Pack and What to Expect When You’re Expecting a Business), have shared my hard-won knowledge at RMIT and Editors Victoria, and happily, have given a keynote talk for Women in Business at the City of Boroondara on blogging and the rise of content marketing. 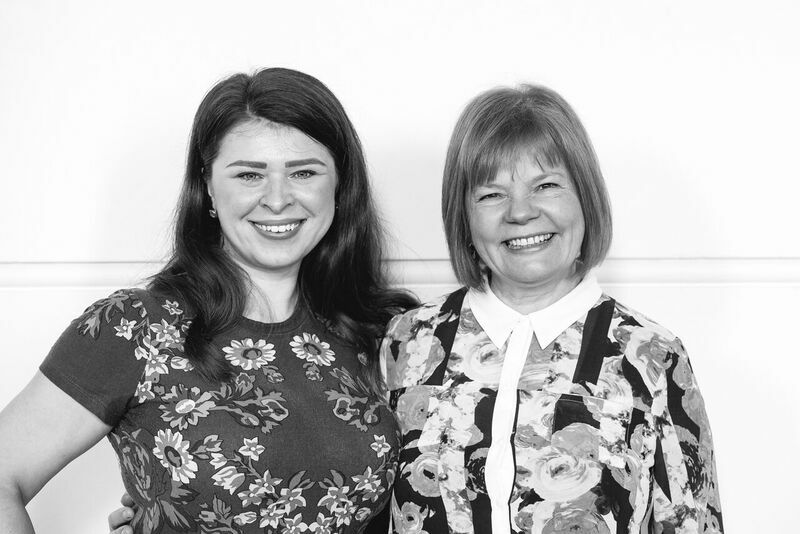 Alongside fellow guest speaker, the kind and inventive Sandy McDonald, we took two very different approaches in addressing the behemoth that is commercial social media for good. 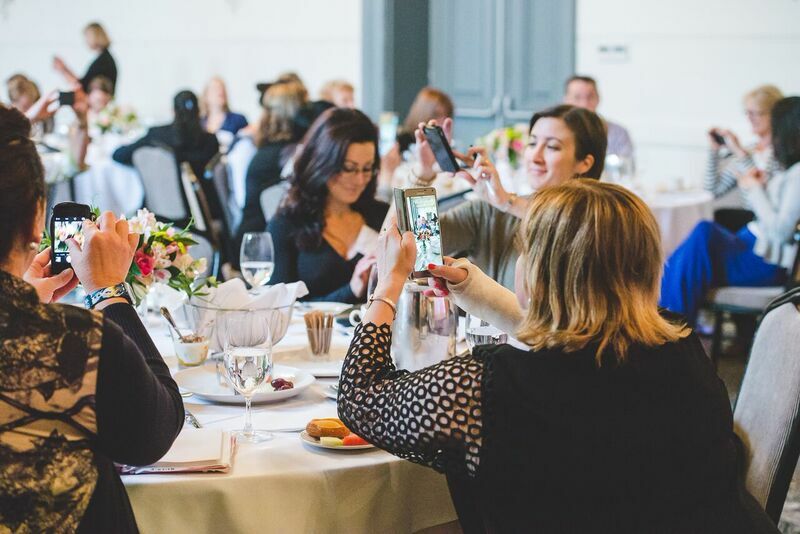 In today’s blog, I share highlights of a rather beautiful breakfast event chocka-block with clever business women, in addition to some key takeaway notes on what social media is not. I find that knowing what something is not is a great way of coming to understand what it more properly is. Guests from a wide variety of busienss categories filtered into the Hawthorn Town Hall for a lush breakfast, networking and big learning. Apparently, I love digital community building ‘this much’! Nothing charts quite so quickly on Instagram as a sneaky snapshot of a beautiful breakfast and flowers. I encouraged the audience of newbie social brand builders to experiment and get posting right this very minute during my talk. What Social Media Is Not – as taken from my talk at ‘Digital Dames: Blogging and the Rise of Online Content Marketing’. Social media is not a space that’s solely about you as a brand. Rather, the digital space is about being accountable to your community, building a community and offering something of value. Commercial social media that is overly focussed on ROI feels hollow and one-sided: it’s tantamount to having a friend that does nothing but talk about themselves without asking how you are. Such relationships don’t last very long – in the digital space or in the real world. Social media is not truly measurable. For the obsessive number crunchers out there, put away your return-on-investment spreadsheets when it comes to gauging value on your social media strategy. How would you measure ROI for an advert on a bus shelter or back of a magazine? Unless you’re talking specific promos, ROI on much marketing is about sentiment – social media in particular. Sentiment is nigh on impossible to gauge, as even numerous shares or likes can’t be translated into a specific outcome. Rather, brands should accept that social media is an intelligent space to have an ongoing discussion with their customers and potential customers. If you get caught up in the ‘how much money will I make from x amounts of postings’, you are not thinking about social media marketing in a helpful way. This is your chance to give back – and it’s one of the first places your audience will look to see what kind of a business you are. If you can’t make your peace with the unmeasureable-ness of this form of marketing, you are unlikely to play the long-game that social media community development requires. Social media for your business isn’t something you should simply entrust to the youngest member of staff, a rellie who ‘likes Facebook’ or an admin person who seems at a loose end. Social media storytelling is a specific skill which combines rich cultural knowledge, marketing expertise, digital expertise and an extremely high level of literacy. 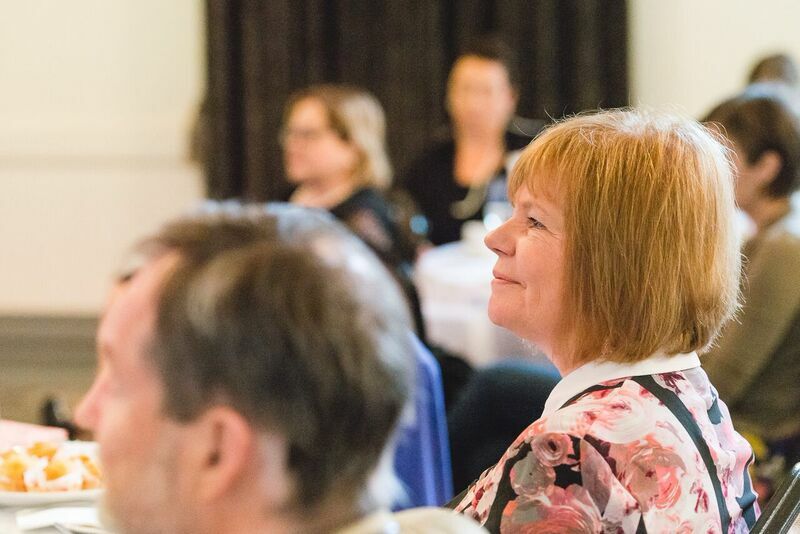 Digital strategy agencies like Ruby Assembly apply these talents in combination with an in-depth understanding of your brand, business goals and category, developing your online voice whilst keeping your identity safe and coherent. If you delegate social media to an individual who is not expert, you’re placing your brand voice and first point of contact in the hands of someone who might not be able to write properly, who may not voice your brand appropriately, and who might not take the care necessary in construction of your brand. Did that challenge some of the ideas you hold about social media? Stay tuned, as I’ll soon share a blog on what social media is to complete your circle of knowledge! 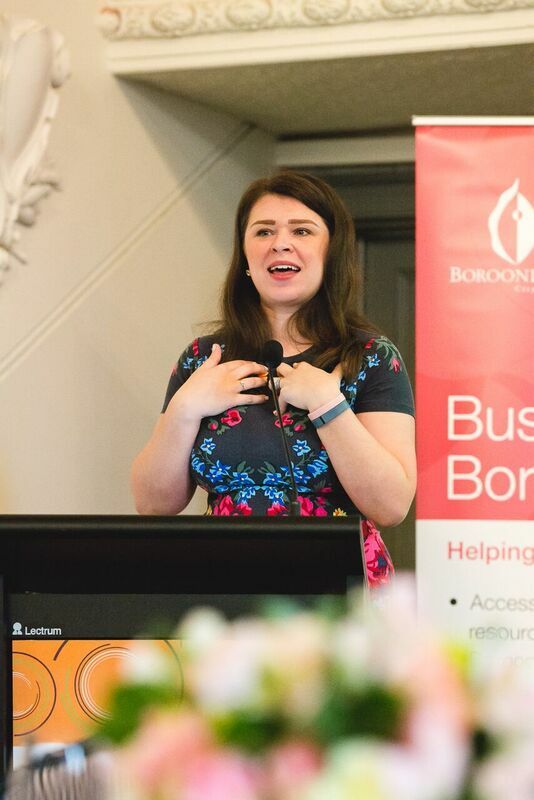 Thankyou to the City of Boroondara for engaging me to share my knowledge at their Women In Business breakfast, and to photographer Breeana Dunbar for the beautiful event images.